UPDATE, 11:00 PM EASTERN TIME. ALMOST ALL OF THESE ARE SOLD, THERE’S A FEW FURNITURE HISTORY BOOKS AT THE BOTTOM OF THIS POST. I’LL BE POSTING MORE BOOKS IN THE NEXT FEW DAYS. 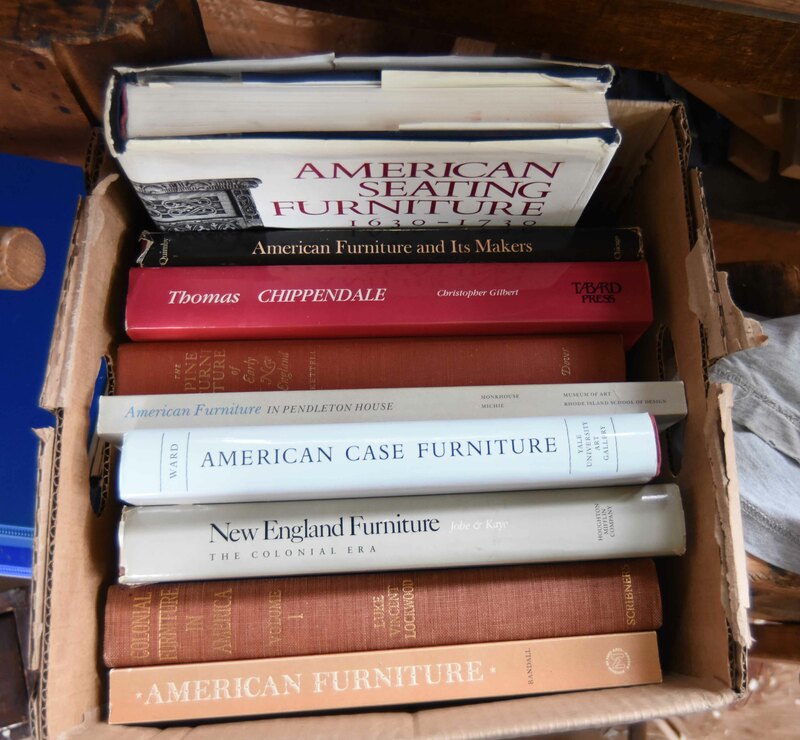 LOTS OF AMERICAN FURNITURE JOURNALS FROM CHIPSTONE, MORE TOOL BOOKS, AND WHAT-HAVE-YOU. THANKS FOR THE SUPPORT, PETER. A few more books from the Jennie Alexander collection. There’s only one copy of each of these, so I’ll try to keep the page updated as to each book’s status. Prices include shipping in US. Leave a comment if you want one of these, and I’ll send a paypal invoice. 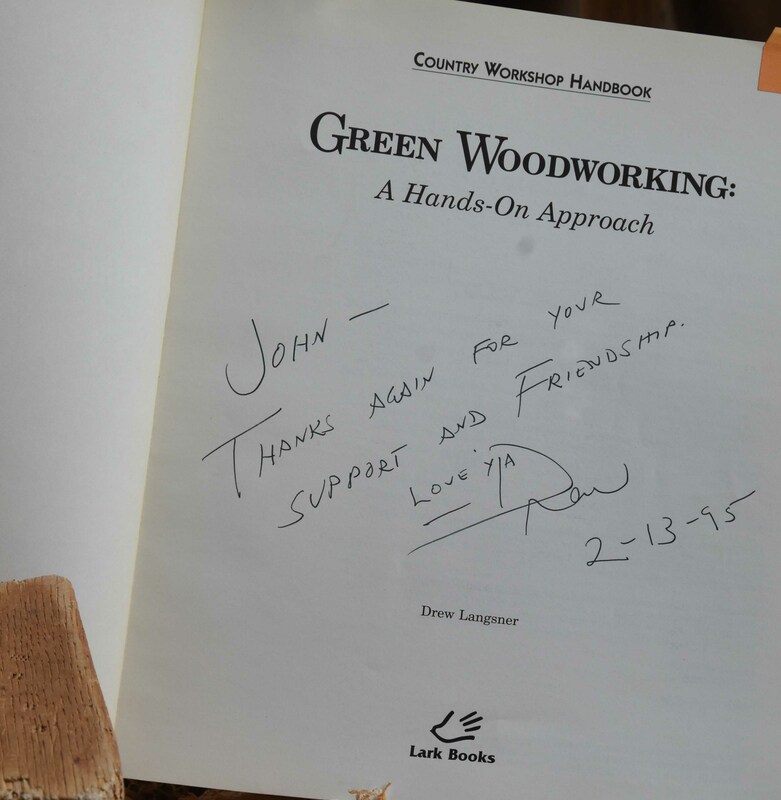 The first few of these are signed/inscribed to (then) John Alexander from Drew Langsner. 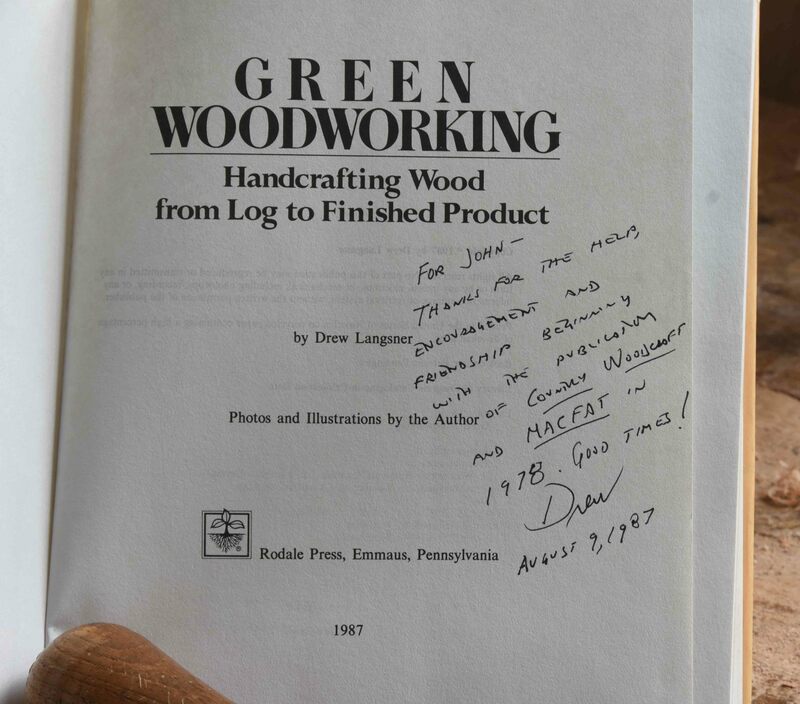 SOLD First edition of Green Woodworking (Rodale Press, 1987). Hardcover. Used, dust jacket a bit worn. Some loose notes by JA inserted into the book. I left them there. 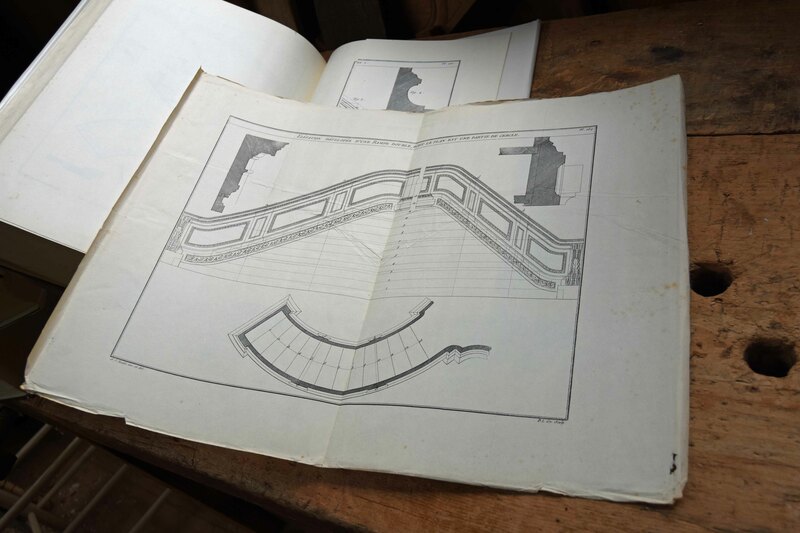 Another from Drew – same book, 2nd edition. Lark books. Softcover. Excellent condition. 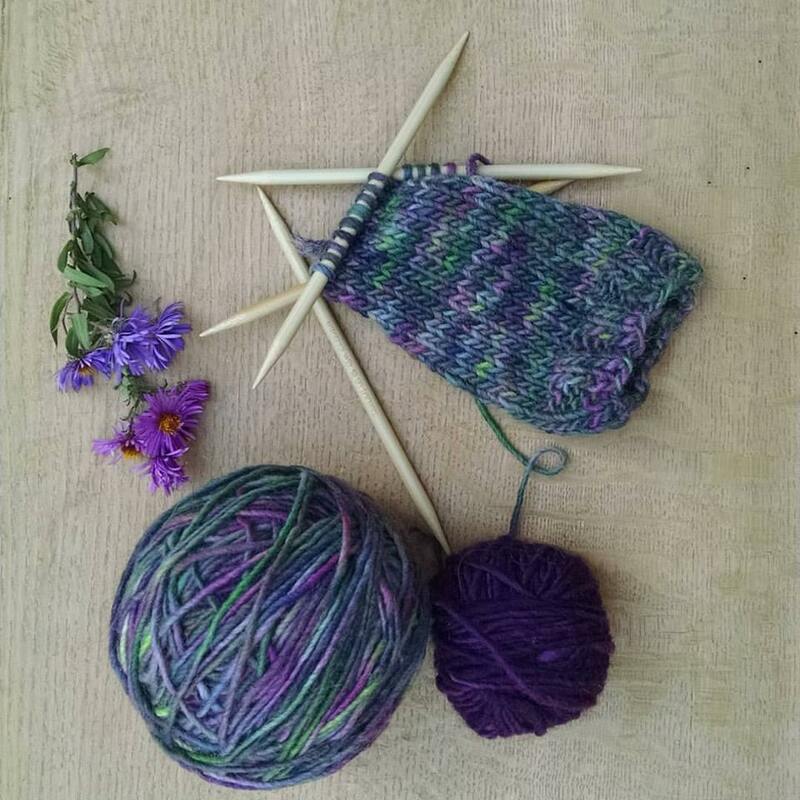 some revisions to the text/photos from the Rodale edition. 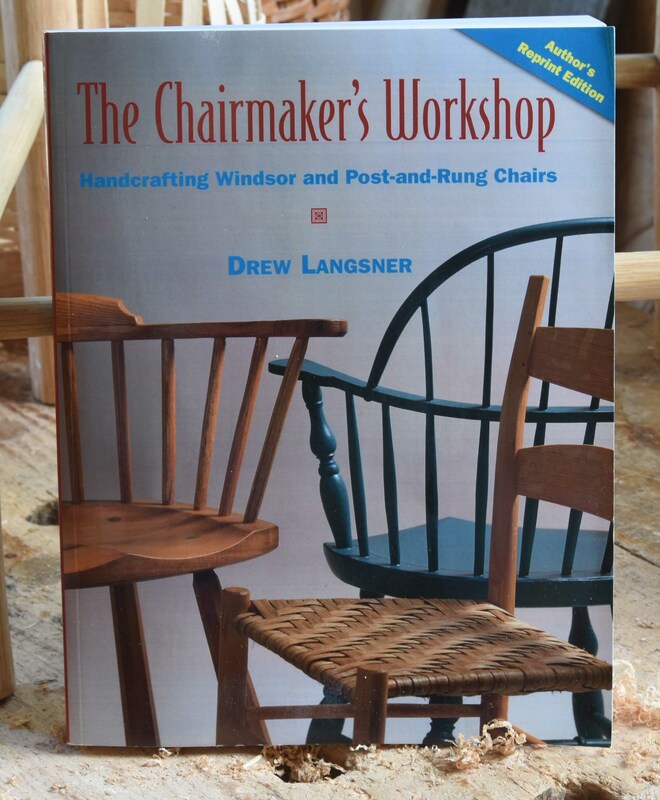 One more Langsner title – This one the Chairmaker’s Workshop – the Author’s reprint edition – softcover, condition is essentially new. a little scuffed on the back cover. 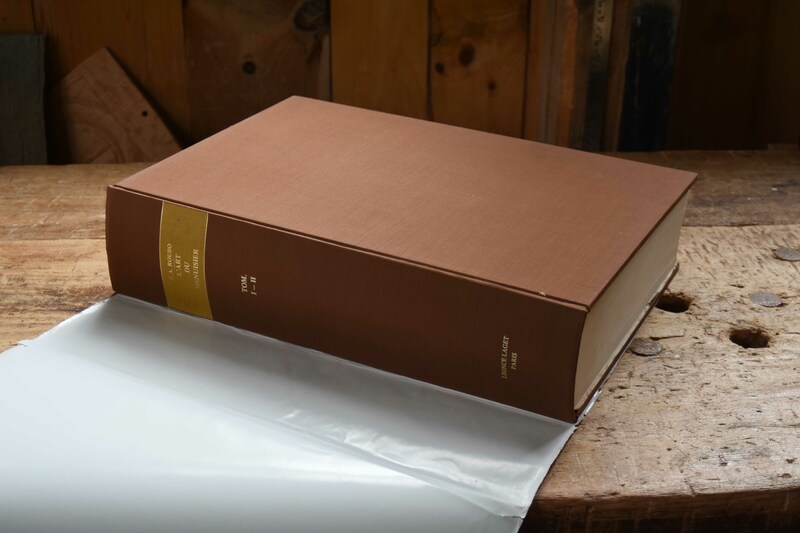 Mark & Jane Rees’ edition of W.L. 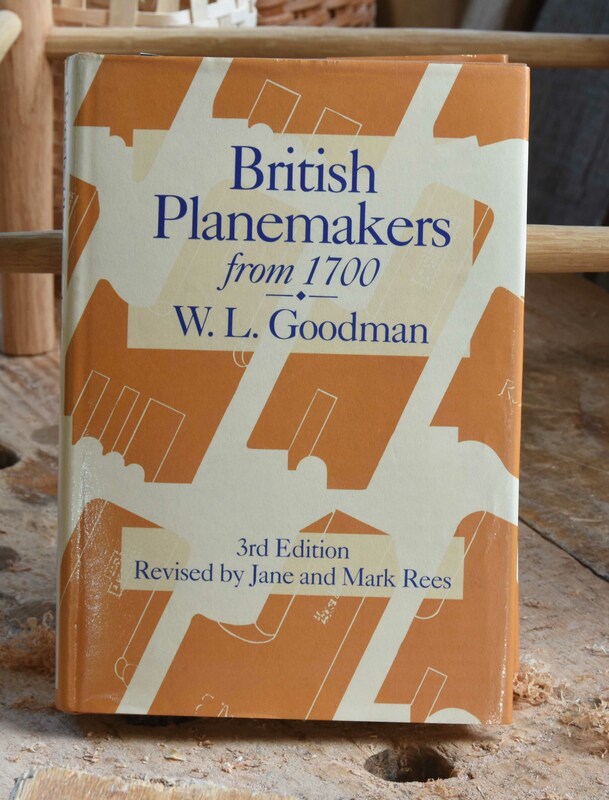 Goodman’s British Planemakers from 1700. Hardcover, like new. Has JA’s name written on the first page. 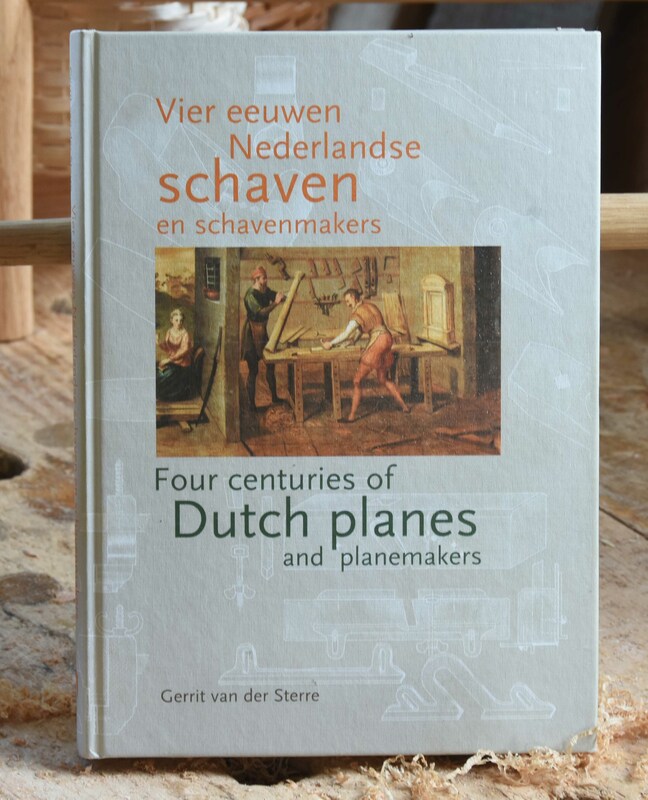 SOLD Gerrit van der Steere, Four Centuries of Dutch Planes and Planemakers, hardcover. Written in both Dutch and English. Here’s a biggie, in more ways than one. 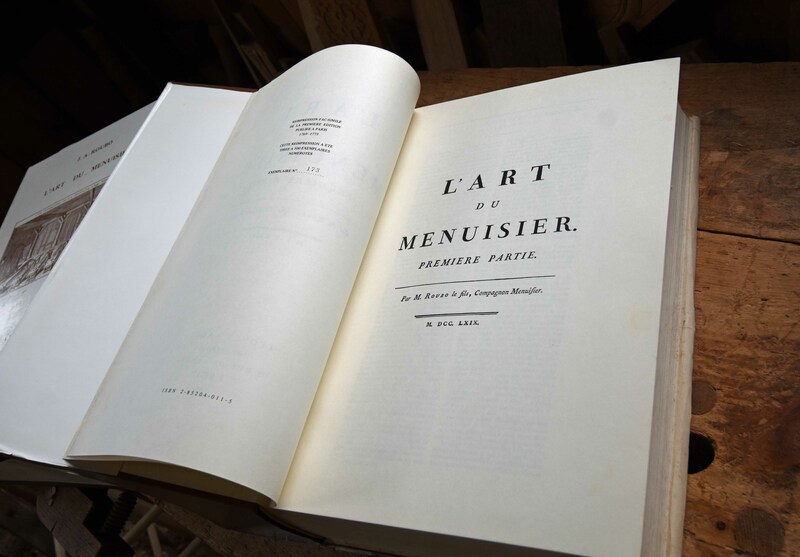 Roubo, L’art du Menuisier. 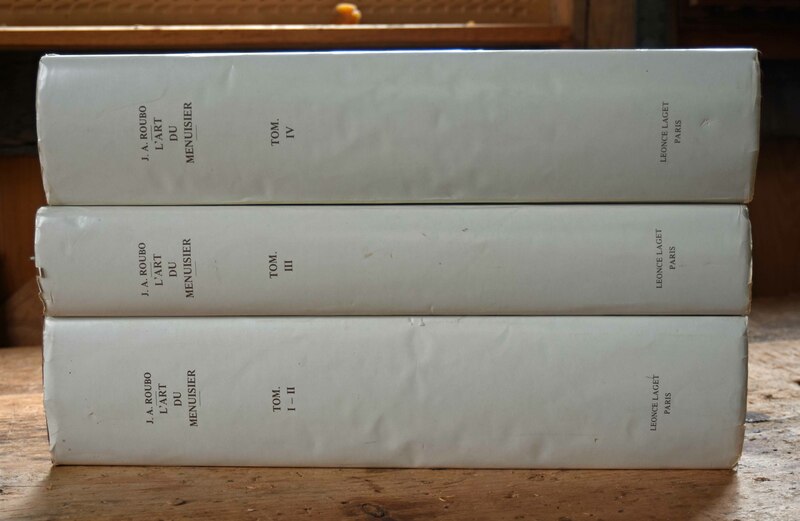 The 1976 edition, 4 volumes bound in three books. Not for the faint of heart, nor weaklings. 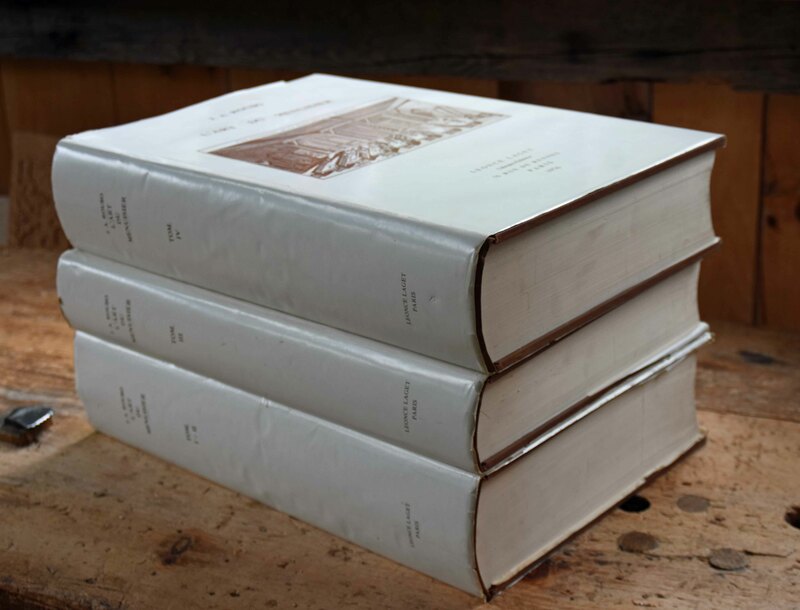 Huge volumes; when stacked up, the pile is 10″ high, by 12″ x 17″. Weight is about 37 lbs. 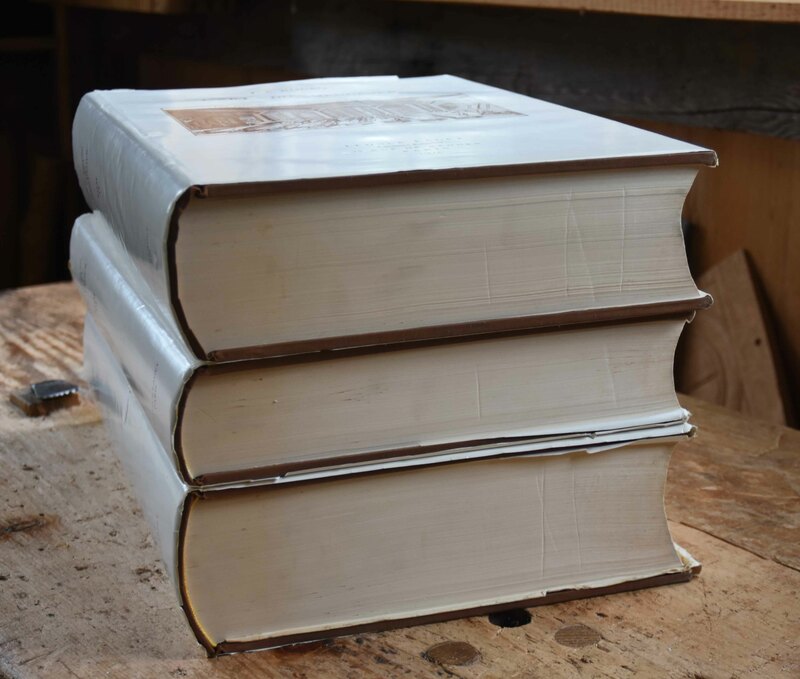 Some wear to the dust jackets, some foxing on the edges of the pages. One plate, #169 is loose, all the others seem intact. 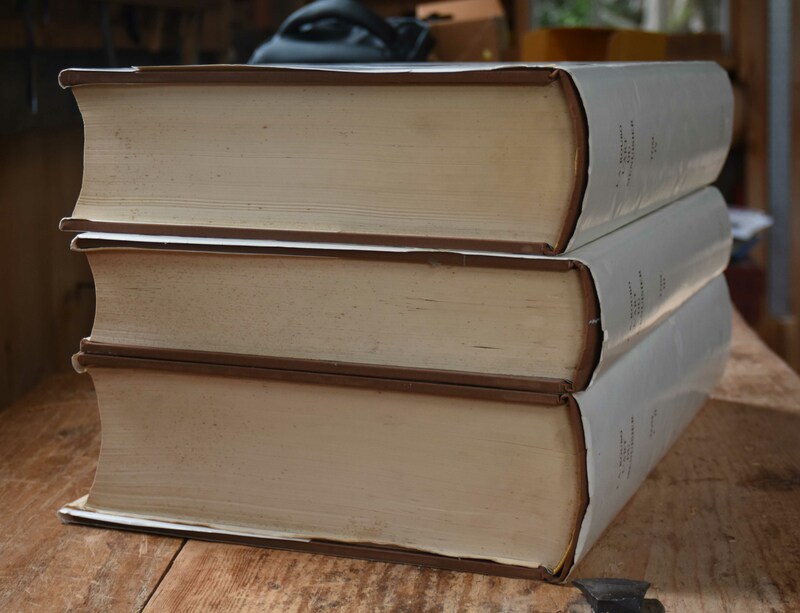 Below are several photos of the volumes, to give an idea of the condition/size of the books. 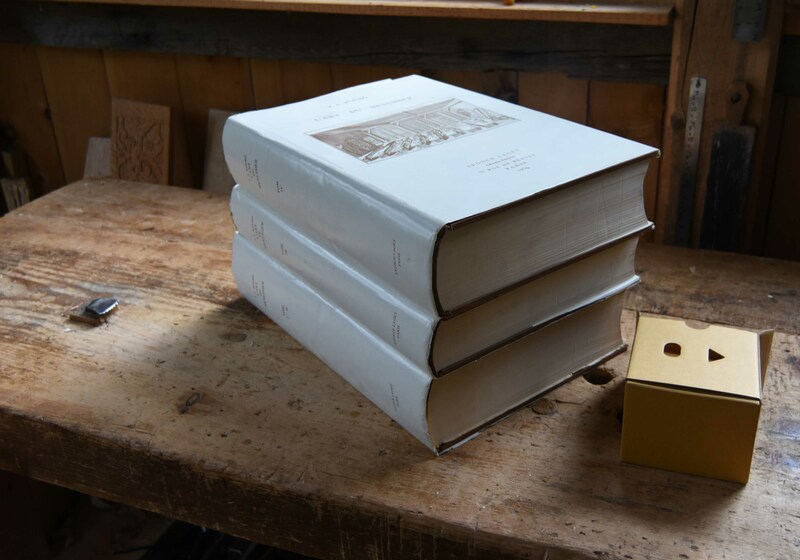 I found two copies on the web just now – one for $787.83, including shipping from France to US; the other $865, also including shipping. I’ll ask $700 including basic shipping in US. If the shipping goes over $50 I’ll ask for an additional charge. 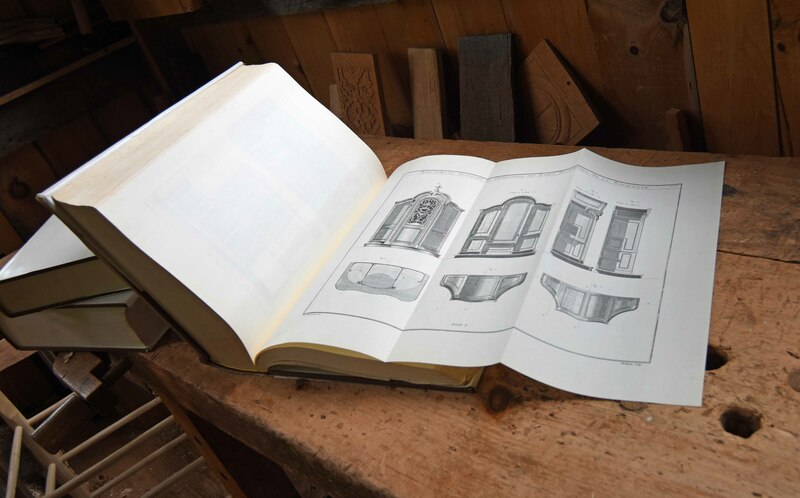 A small selection of furniture-history books. I just shot the spines in the box. SOLD American Seating Furniture, Benno Forman. Kinda beat copy. Has note from editor Trent to JA. SOLD American Furniture & Its Makers, Winterthur portfolio. 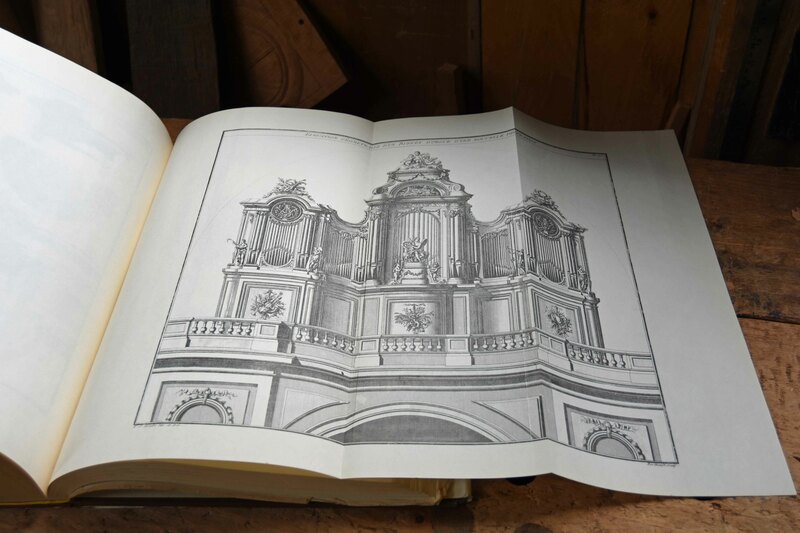 Has an article about 17th-century Dedham, Massachusetts furniture. SOLD Thomas Chippendale by Christopher Gilbert. New, barely opened. SOLD Pine Furniture of Early New England, Kettel. Hardcover. American Furniture at Pendleton House, Rhode Island School of Design Museum of Art. SOLD American Case Furniture: Yale University Art Gallery, Gerry Ward. SOLD Colonial Furniture in America, vol 1; Luke Vincent Lockwood. I can’t find vol 2. If you buy this & the other shows up, I’ll get a hold of you. American Furniture at the MFA, Richard Randall. 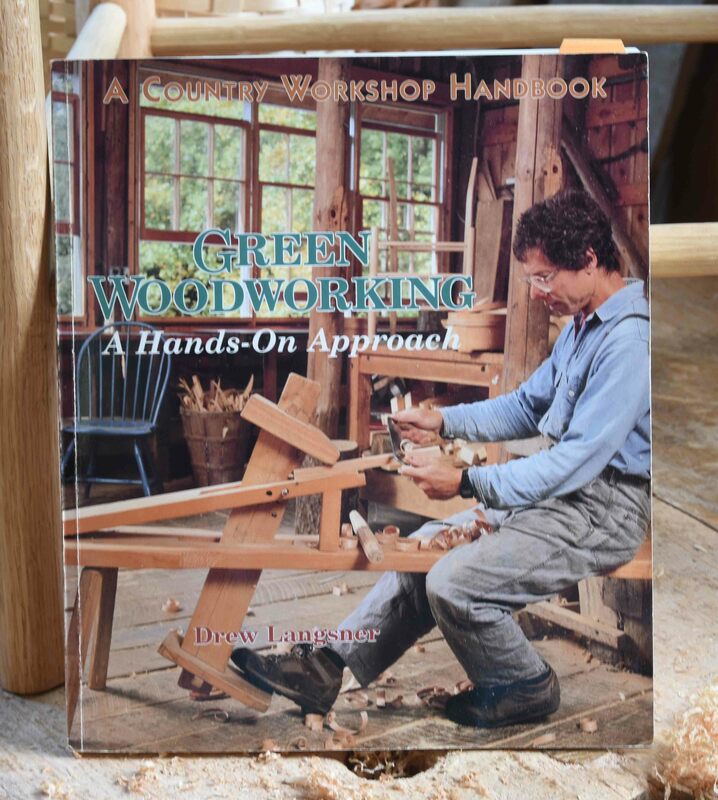 Peter, I will take the first edition of Green Woodworking. I’ll take American furniture and it’s makers. 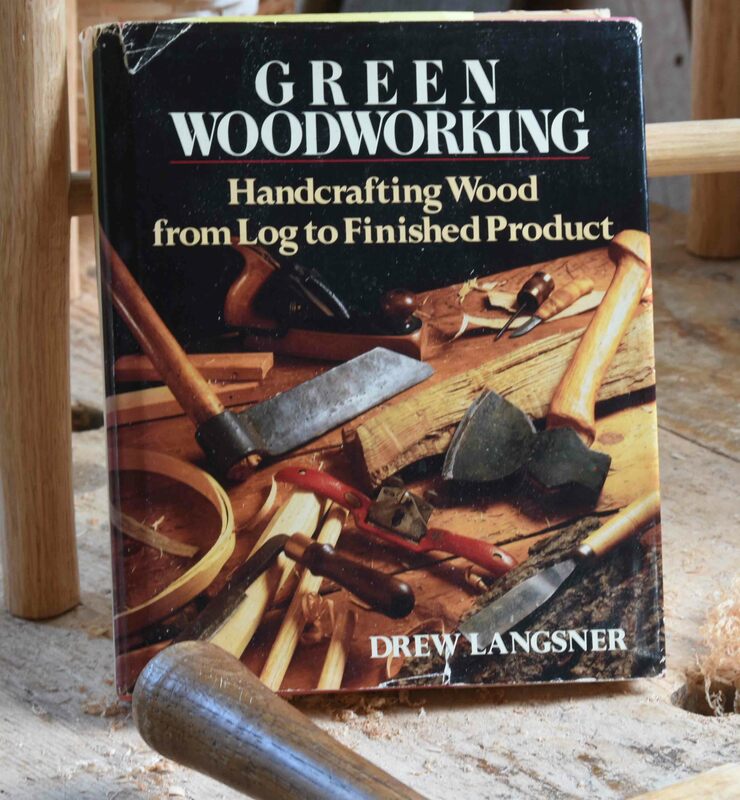 Peter, I’ll take the second Green Woodworking. American seating furniture still available? Peter, I would happily take the Roubo! Peter, In a previous photograph, there were 2 pictures: 1 of a turned on his treacle lathe and the other of a shop with work benches (Roubo?). Are those for sale? Peter; I can’t afford much; but if there’s something non-valuable that no one else wants, even a trashy paperback novel, can you get in touch? Jennie meant a lot to me and my transition. I still kick myself for not calling her one more time. 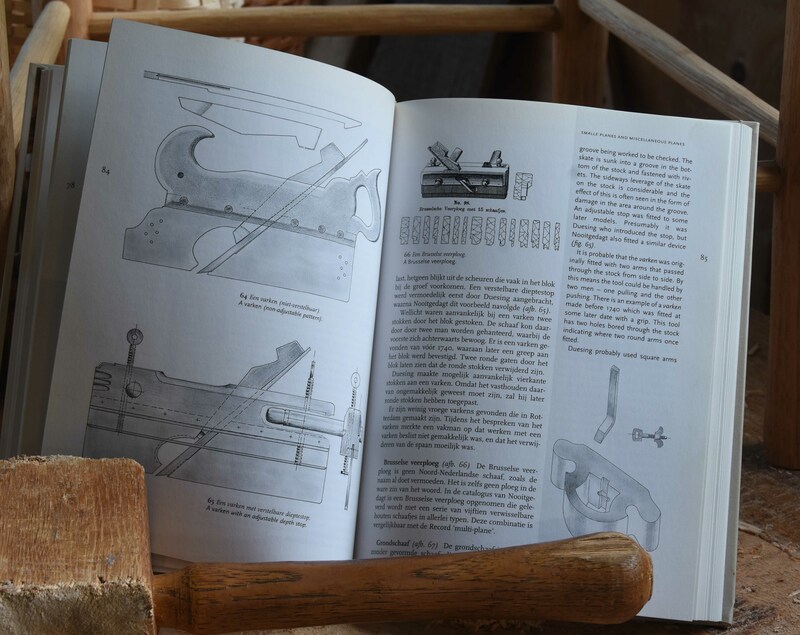 If the chair making book is still available I would like it. 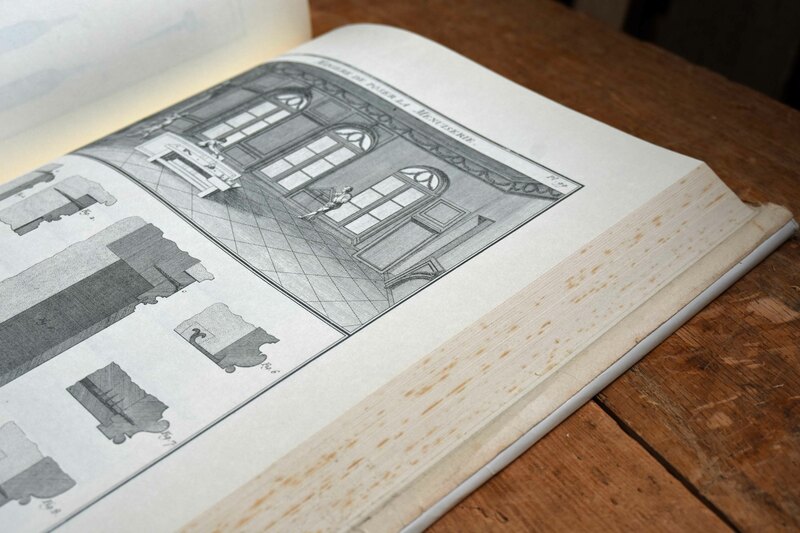 Peter, if there’s a furniture history book left I’ll buy it for Jessica. You choose. Thanks for your offer – it’s very kind. But not necessary. It’s not just me sorting through JA’s various collections. One of her daughters and her long-time assistant are also on the case. Jennie Boyd, the assistant, has already said she’d see to it that Jessica got something from the collection. There’s lots of titles I left down in Baltimore – either too numerous/off-topic/ordinary, etc…and I only have so much room and time for spreading these books out. So from that segment Jennie will send something to Jessica. But your offer drives home to me once again how powerful this connection we’ve all made through woodworking is. We (all of us handling JA’s effects) really appreciate everyone’s involvement and support. “Wood is wonderful” JA used to say. So are people. Some of them, anyway.